Today we are about to drop some serious knowledge bombs on you. 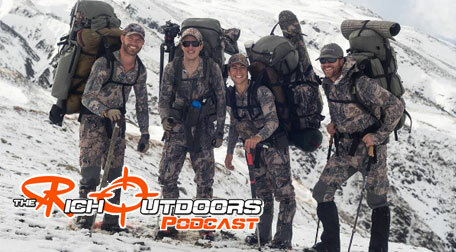 This episode is packed full of information, from whether a Montana hunt is still on your wish list, or you have been hunting there for years, there is some great info in this episode. I am joined by Mr. Robert Hanaman to dive into his home state of Montana and cover the great state from one end to the other. Going over how to apply, where to apply, what not to do, and some of the very strange rules in Montana. We really wanted to make sure we covered the state for those just dreaming of one day going on a deer hunt in Montana to the die hard elk guys looking for an inside tip from a local. We also cover the unlimited sheep hunt pretty extensively which is definitely something I wanna do at some point in my life. From what the best area to find the next world record bull, to where and how to capitalize on a trophy buck. this episode has it all. If you have any questions regarding hunting in Montana or anything we cover in the episode you can always hit us up in the The Rich Outdoors Insiders Facebook group. Note we are also going to start doing so pretty cool giveaways on the Facebook Group so you definitely want to join that so you don’t miss Out. A big thanks to everyone who took the time to leave a review, it means a lot. If you haven’t left the podcast a review yet be sure to do so on iTunes. 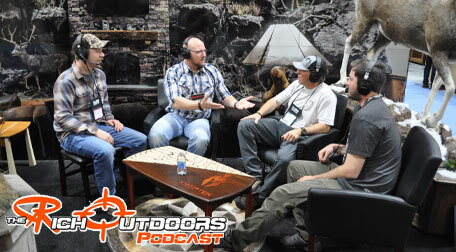 This episode is brought to you by the same folks who do such a great job with camofire and thats BlackOvis.com. 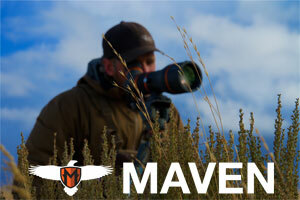 Black Ovis is set up to be your one stop shop for true backcountry hunters, and is tailored to those dedicated hunters. With serious gear heads on staff they can answer any technical questions you may have. Here is the best part, why would you drive to the store when you can get free shipping on every order! If you need anything for your spring hunts coming up check them out at www.blackovis.com and for a limited time they are offering The Rich Outdoors podcast listeners a special discount, use code TRO and get 10% off your order + free shipping. This episode is also brought to you by Dark Energy and their ultra durable Poseidon portable charger. 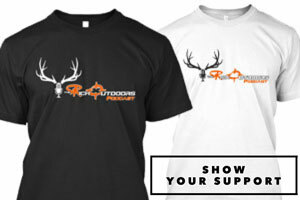 Water proof, shock proof, and destruction tested, this thing is made for outdoorsman. The poseidon charger is a 10,000 mAh portable charger that gives you the ability to charge your phone, gps, range finder, radios, or whatever you can charger off a usb port and has dual port charging capabilities with a 2.4 amp and a 1 amp port. Giving you 3-6 charges on a smartphone in a ultra durable and dependable portable charger and paracord micro-USB charging cable. Check them out at www.darkenergy.com and get 15% off with coupon code RICHOUTDOORS15 through April of 2017 only. This episode is packed full of ridiculous stories, lots of laughs, and maybe some wisdom lightly sprinkled on top. Overall it really shows what an amazing bond hunting creates between hunting friends. Good buddies Mark Seacat (@westseacat), Adam Foss (@fossman8), and Cole Kramer (@nomadic49ak) have been on some of the most amazing adventures around the world, and continue to push the limit of experiences to be had. This episode is brought to you by goHUNT.com/insider. GoHUNT Insider is an amazing hunt research platform that is a must have for any dedicated hunter. 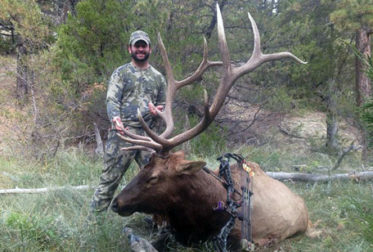 Find and research tag opportunities based on your own preferences, and find great hunting opportunities throughout the west. If you are serious about hunting, goHUNT Insider is worth every penny. 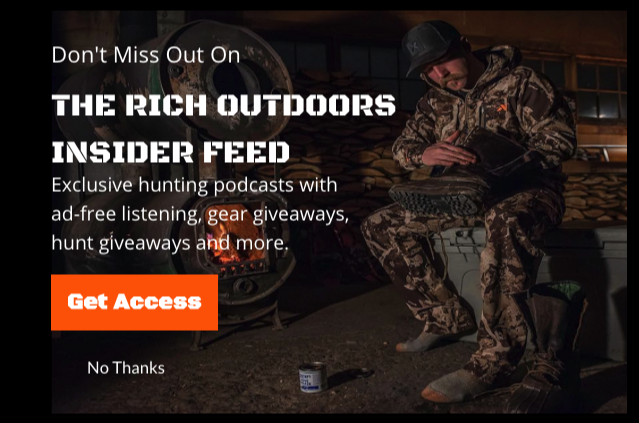 Sign up today and use promo code: RICH to not only will you get insider access to everything we cover in this episode, but you will also receive a $50 gift certificate to Sportsman’s Warehouse. This episode is brought to you by Greenbelly Meals. Greenbelly Meals are a true meal replacement bar. Chris Cage the founder, designed these bars to be 650 calories and 33% of your daily nutrition for 6 core nutrients. I have been using Greenbelly meals for the last two season now and I absolutely love them. They make a great option for a lunch or mid day meal and with two bars per resealable pack I can divide them up during the day. The best part is, they are actually really delicious. Greenbelly bars come in three different flavors and I honestly like all three. These bars are one of the best options for quick, easy, light weight backcountry meals that I have ever come across, so check them out. To get more information and to order some for your next hunt, just go to www.greenbelly.co and use coupon code TRO10 for 10% off your first order. EP 099: The Experience: Dan Catlin, Jason Price, and Dallas Hemeyer. This week I am joined by The Experience crew Jason Price, Dan Catlin, and Dallas Hemeyer. 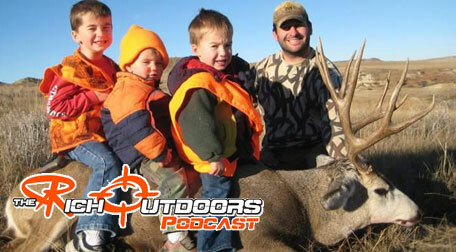 We talk about setting goals in hunting and in life, hunting with friends, and how to have fun on stressful hunts. The best part about getting to do a podcast with a whole hunting crew, is that you often get to hear the real story behind the hunt. There are plenty of laughs throughout this episode and I had a great time chatting with the guys.